From New York Times’ bestselling author Susan Dennard comes a companion novella to her epic Witchlands series. Sightwitch is a prequel, but it’s also an experiment in narration — a novella told in first person through journal entries and artwork. Through this innovative storytelling technique, Ryber comes alive as we dive into her head, finally understanding the beginnings of her and Kullen’s story. Sightwitch debuts on bookstore shelves tomorrow, Tuesday, February 13, 2018 (just in time for Galentine’s Day!) Here’s what author Susan Dennard had to say about writing Sightwitch, and what she discovered about her supporting character turned heroine, Ryber, along the way. Ryber is already a beloved character to fans of the Witchlands series! What makes you passionate about Ryber as a character? What inspired you to write her prequel? Sightwitch has a really unique origin story, in that I originally set out to write Ryber’s tale in the spring of 2014. My plan was to self-publish a novella that would serve as an entry point into the series. I would offer it at low (or no!) 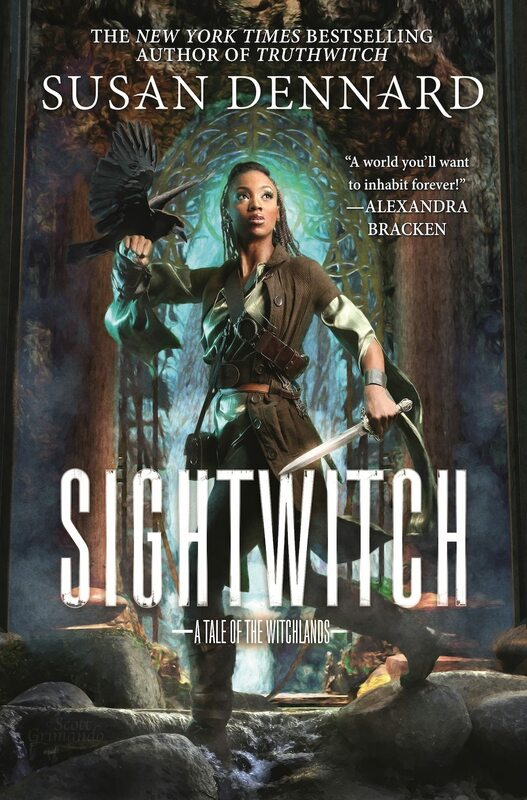 cost, and readers who were hooked on Sightwitch would then pick up my forthcoming Truthwitch in 2016. Honestly, I wanted to harness the power and control that comes with self- publishing and to use that to supplement my (at the time) underwhelming, traditional publishing career. Except, my plan completely and utterly failed. While I had a setting and main characters (Ryber and Kullen!) I had no actual story. I thought I did, but I quickly learned that a story making sense in outline form does not mean it will work in actual book form. Fast forward to winter of 2017, and my editor was like, “Hey, any chance you’d write that story now? We’d love to publish it between books two and three in the series.” I nervously told her I’d try, but I could offer no promises. I was truly terrified of the story and all the epic misery that had accompanied it. Except this time, when I sat down to write, the book burst forth like Athena from Zeus’s skull. It was just there. Ryber’s voice, Kullen’s voice, the story and its connection to the broader Witchlands scape—I couldn’t seem to write it fast enough. What was most amazing of all, though, was that this tale wasn’t in the format of the rest of the series. Ryber wanted to tell her story in first person journal entries with illustrations and world documents that would guide the reader along. It was exhilarating, and I learned so much about my creative process along the way. The most important lesson for me was that the bigger the idea, the more simmering time it needs to grow into something that’s ready for actual writing. While diving into her perspective in ‘Sightwitch’ did you learn anything new about Ryber that you maybe hadn’t yet discovered within the Witchlands series? I discovered so much! It was really a whirlwind. As I uncovered more and more of Ryber’s world — and of Eridysi’s world, a character from 1000 years prior — the more these seemingly disparate puzzle pieces fell into place. I’d already known where the series was headed, and I’d had a vague sense of how everything connected. But Ryber’s and Eridysi’s tales really crystallized it all for me. Before writing Sightwitch, I could see the forest. By the time I finished, I could see individual strips of bark upon the trees. Seriously, I cannot wait for readers to experience Ryber’s tale. Not only does it answer some lingering questions from the first two books (and easter eggs! So many easter eggs! ), but it also sets up all that is to come in the rest of the series. 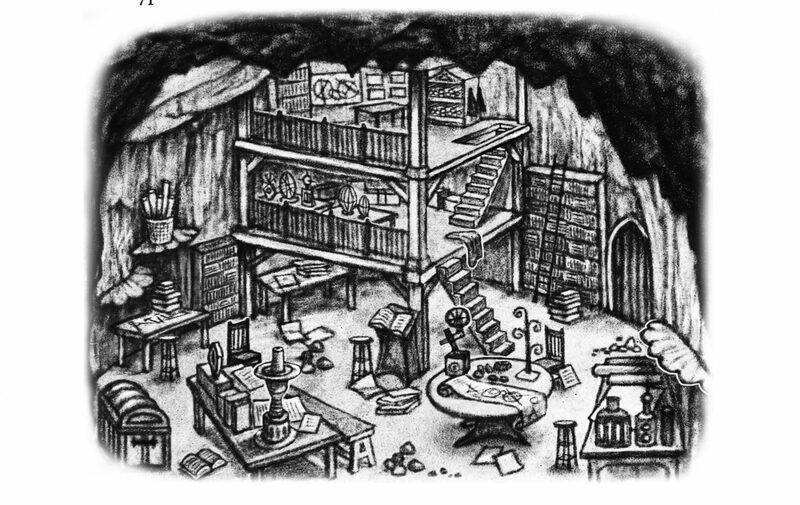 Can you give us any hints about the invention workshop Ryber has stumbled into in this image? This is one of my favorite spaces in Sightwitch! Partly because of what happens in the workshop, but also because of who it belongs to. Readers may or may not remember Eridysi from her brief mentions in the first Witchlands books, but she was a Sightwitch sister who lived a 1000 years prior to Ryber. As an inventor, this workshop was where she spent almost all of her time. I am so excited for readers to get to know her. She was a surprise point of view character for me, yet her arc in Sightwitch has become one of the most personal ones I’ve written yet. Years pass and Ryber’s misfit pain becomes a dull ache, until one day, Sisters who already possess the Sight are summoned into the mountain, never to return. Soon enough, Ryber is the only Sister left. Now, it is up to her to save her Sisters, though she does not have the Sight — and though she does not know what might await her inside the mountain. Sightwitch by Susan Dennard debuts tomorrow, Tuesday, February 13, 2018. You can order the book from Amazon, Barnes and Noble, or your local independent bookstore. Will you be reading ‘Sightwitch’?